Can you see the purple square under the castle wall? 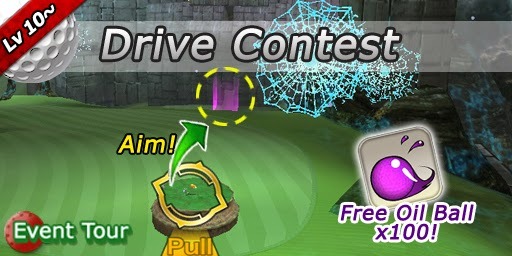 Hit your Golfy into the purple square and get high score! Don't worry, because you can use 100 Oil Balls for FREE! The winner's prize is Muramasa Club Set. 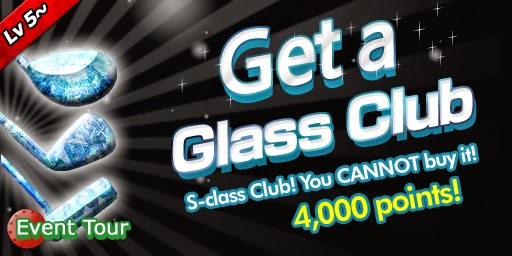 Get 4,000+ points and then you might win S-class Glass Club from the roulette! The winner's prize is Glass Club Set. All birdie prize is 2 Stop Winds.